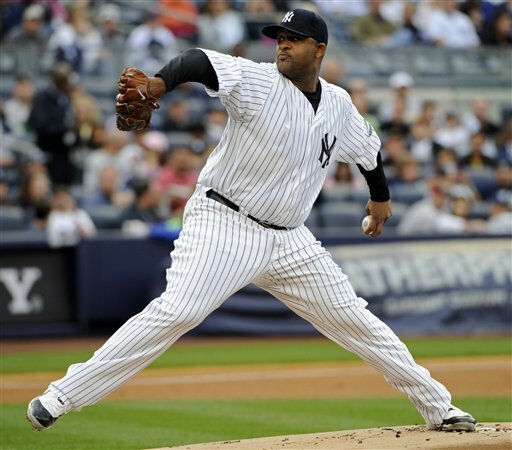 For the Yankees, this one is probably the biggest question of the offseason. Do you keep the reigning World Series MVP at 37 years old, or do you let him go? It will be a tough decision, but lets weigh the options. Quite simply, he is the reigning World Series MVP. His approach is perfect for the new stadium and he is sure to hit a lot of home runs following his 28 this season, the second best total of his career. He can provide protection for hitters like A-Rod or Cano. He wants to play for the Yankees more than anyone else, so the Yankees could probably get him cheap. He is a great hitter. He is going to be 37 years old. His knees prevent him from playing the outfield, so he has zero versatility. 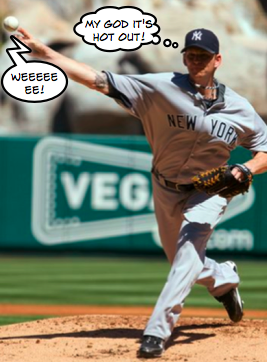 The Yankees don’t really need him. Chuck. It’s time for Matsui to pack it up. 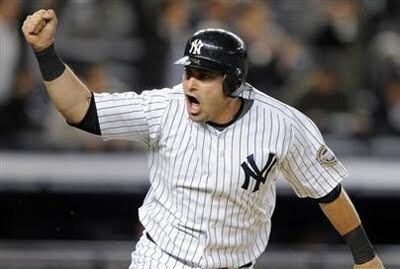 Like I said, the Yankees just don’t need him. He may be a great hitter, but for anything else he is useless, and you need versatility to win games these days. 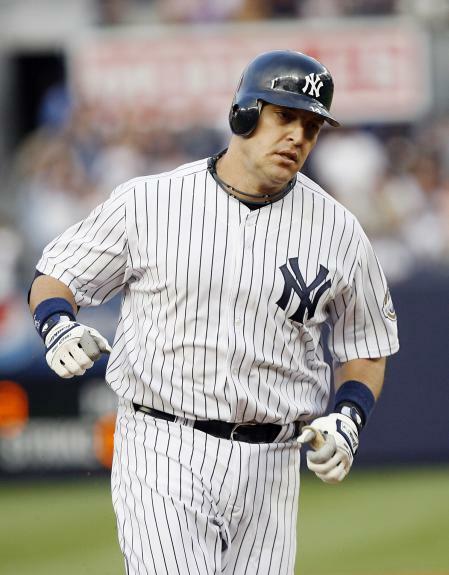 The Yankees are better off going for a younger, better player in Holliday who can play the outfield. 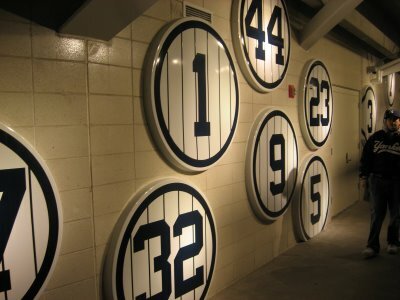 Also, the Yankees need to clear out that DH spot for some of their older players. 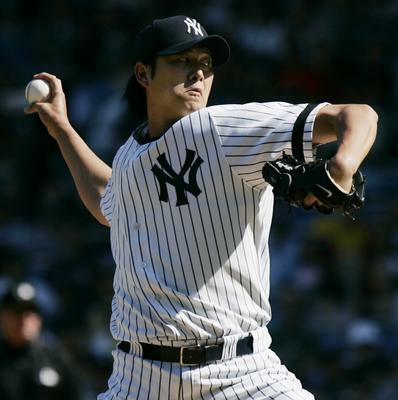 Matsui, you were a great Yankee, but your time is up. Have a burning question? Something on your mind? Send your thoughts or questions to me via twitter @NYColeman or emai me at abiteoffthebigapple@gmail.com. Once I have your NY Note, I will reply to it just like I did here. Be sure to include your name and location. The Rules: Take a look at my picks for each award. At the end of each explanation, there will be a thumbs up and a thumbs down. If you agree with my pick, click thumbs up, if you disagree with my pick, click thumbs down. 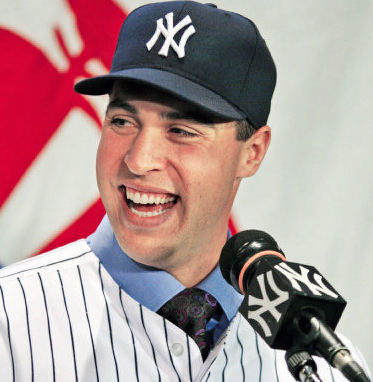 Perhaps the best of the off season acquisitions for the Yankees, Mark Teixeira leads the league in RBI’s and HR’s (tied with Peña) and is second in the league in SLG %. SInce the return of Alex Rodriguez, Teixeira is hitting .312 with 34 home runs. Out of nowhere Greinke began the season with a bang. We all thought maybe it was a fluke, and here we are speaking of him wining the Cy Young. 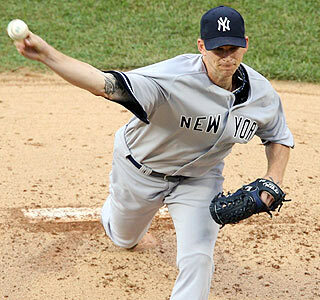 He leads the AL in ERA at 2.06, is second in the league in strikeouts and first in the league in WHIP. He may not have that many wins, but on a team as bad as the Royals, he’s amazing just to have over 10. 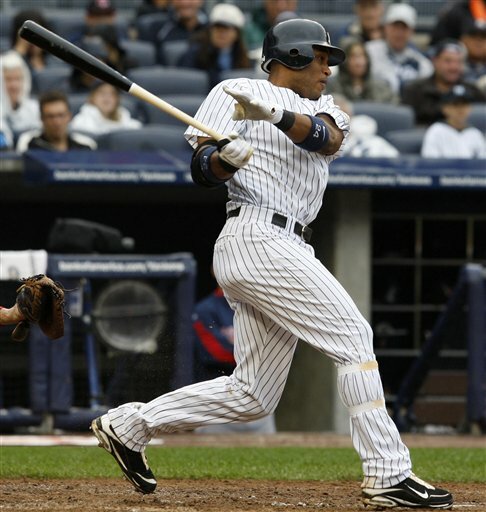 This may be a long shot, but with the talent Cano has, you have to realize the disappointment of last season. He hit .271 with 14 homers last year, and this year has jumped to .332 BA with 25 home runs. He is also third in the league in hits. Remember all of the starts the Tigers brought in last season. Maybe not, but we do remember that last year was a HUGE disappointment. This year is a new story. Leyland has brought this team up to expectations and is one win (or Twins loss) away from a division title. That’s where I stand. We will see how it turns out.